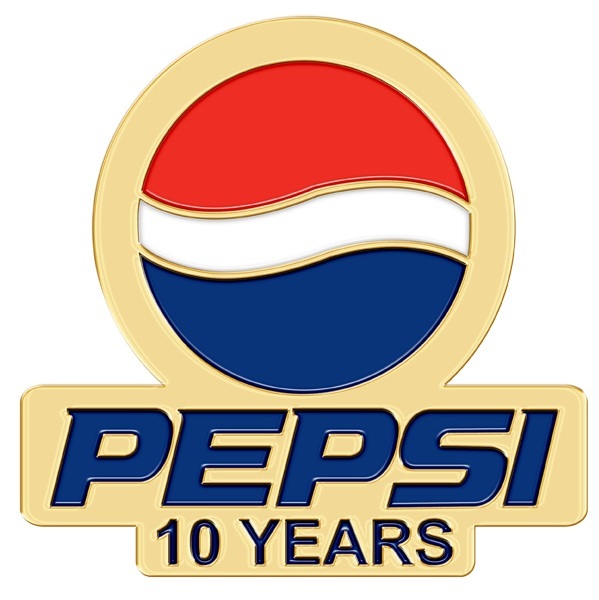 The use of years of service lapel pins can be utilized similar to the way most lapel pins are used to promote a product, or service, in a brilliant or elegant way. Professionally designed and manufactured lapel pins can be a reflection of the type of service or product your company provides to the public. Aside from its inherent marketing value, it also allows companies to distinguish themselves from others because basically, the years of service lapel pins show exactly the level of experience the company has in the industry. Special promotions, milestones, and even tradition are made more special with the use of these pins that are made of high quality materials intended to last for a very long time. The reasons and benefits that can be gained from using service pins can be varied and wide ranging depending on the type of industry that the company belongs in and the type of pride it has in its employees. Regardless of the driving force, there is no question that they bring with them a number of unique benefits. For majority of companies, regardless of the industry, service lapel pins can provide some distinct advantages. In a business environment where recognition and reward carry explicit bearing, these small pieces of memento can carry a whole lot more weight than what most people perceive. To appreciate the contributions that custom pins can provide to the company or industry, look at the following benefits. 1. Cost effective. Many companies are looking for cost effective ways on how to reward their employees. Without a doubt, years of service lapel pins are one of the things to consider because they will not cost a fortune to buy even in bulk. Moreover, custom-made lapel pins carry an intrinsic value since it is understandable that not every one will get the type of award. Therefore, for a small financial investment, they carry huge returns in terms of employee recognition, appreciation, and promotion. 2. Employee incentive programs. There are numerous companies that initiate employee incentive programs with the hope of raising company pride as well as employee productivity. The majority of these programs carry cash incentives for deserving employees and present each with employee recognition lapel pins. However, as many people know, money can be spent and eventually lost. In this instance, where does the recognition go? Combining the monetary reward with the years of service lapel pins gives the employee a tangible reminder of the contributions that he has made for the company. Based on statistics, employees that receive rewards from incentive programs tend to show improved job satisfaction. Moreover, relatively younger members of the organization sporting such pins serve as a challenge for more senior employees to step up and become company leaders. This is a type of motivation that no amount of monetary reward can equal. Imagine such benefits from a relatively small token. 3. Morale booster. When employees realize that the company is using pins to provide recognition to their valuable contributions, it will help to improve the working environment. Essentially in any organization, everyone desires to get a certain level of distinction, and with the years of service prominently displayed this can be achieved easily. As a morale booster, they can deliver improved productivity, attendance, and even attention to safety. There is also a high probability that employees would want to stay longer with the same employer when they have a high morale. 4. Gift of honor. The beauty of using years of service pins is that they provide the company with so much flexibility. The reason is that they can be used as a gift of honor for active employees or even for those retiring. For the active employee, such award pins symbolize the number of fruitful service he has rendered to the company. For the retiree, they can mean that the company is honoring all the valuable years of service he has provided the company. All the hard work through all those years is made worth it with such a simple award of honor. 5. Beginning a tradition. Not all employers, especially relatively younger companies, have some form of recognition or incentive program in place to serve as a motivator for the employees. Finding a company that creates customized and high quality years of service lapel pins can help any company start a winning tradition recognizing excellence. The beauty of this type of award is that they can be customized to represent each milestone in the career of the employee based on the information provided by the employer. Such a tradition can deliver improved service from employees as well as earn distinction for the company in the industry they belong. 6. Easily mailed. It does not matter if the pin is given in person or awarded without the presence of the recipient, there is no problem. Because years of service pins are extremely lightweight, they can be easily sent via postal service or courier to reach the recipient regardless of the location. This is especially useful for companies that have a global presence. Normally, each pin is sent from the head office to give it more weight and the recognition more meaningful. Undoubtedly, there are other benefits that can be attributed to the use of years of service lapel pins. These are just a few which can make a complete and immediate impact on the way the company performs and how employees respond. With such immeasurable benefits, there is no question why every company should invest these wonderful productivity boosters.